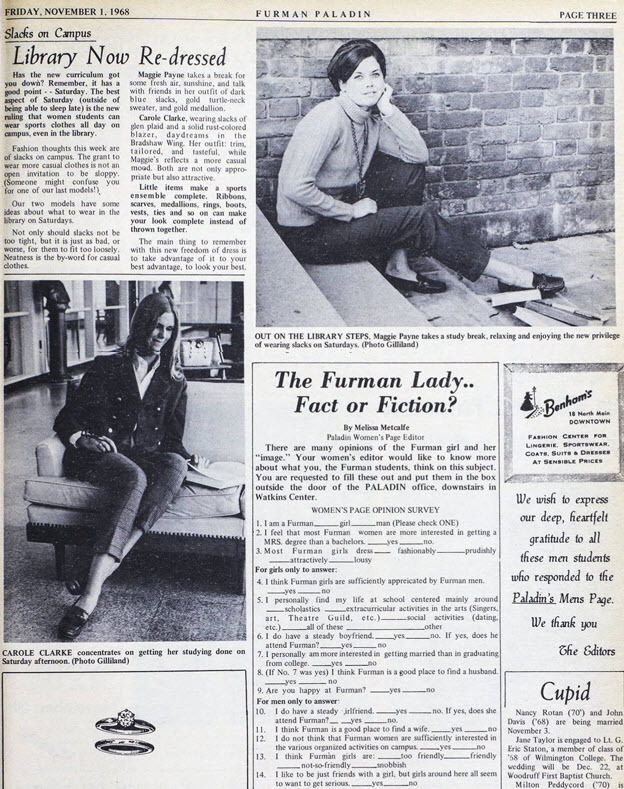 The newly updated Furman Student Newspapers Collection is now online. The collection includes scans of the print newspapers from 1916 through April 2018. A huge thank you to the Digital Collections Center staff and student assistants who made this collection a reality. The new scans, better OCR, and improved metadata really improve the usability of this important resource. The DCC will continue to add current newspapers on a regular basis. Equally as entertaining is the “survey” for The Furman Lady? Question #7?? Wow!